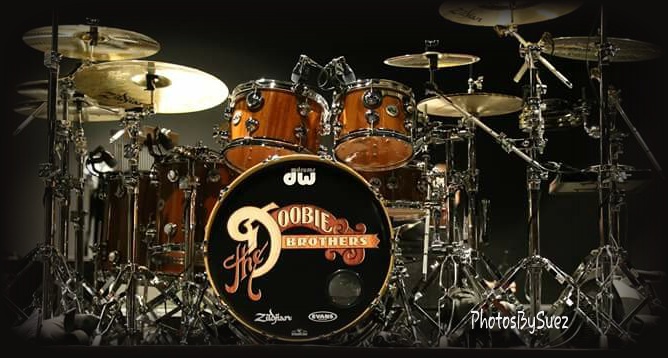 The Doobie Brothers visited the Eastern Panhandle of West Virginia on May 22nd, thrilling an enthusiastic, multi-generational crowd, representing at least 5 states and Washington, DC. Whether you are a hard-core DoobieHead or just a casual fan of Classic Rock & Roll this was the ultimate mid-Atlantic, springtime musical event for you. The eight-piece, post-middle aged ensemble achieved an instant trifecta from the outset with "Jesus Is Just Alright", "Rockin' Down The Highway" and "Take Me In Your Arms". The first pair, originally released in 1972, were amazingly fresh and salient. 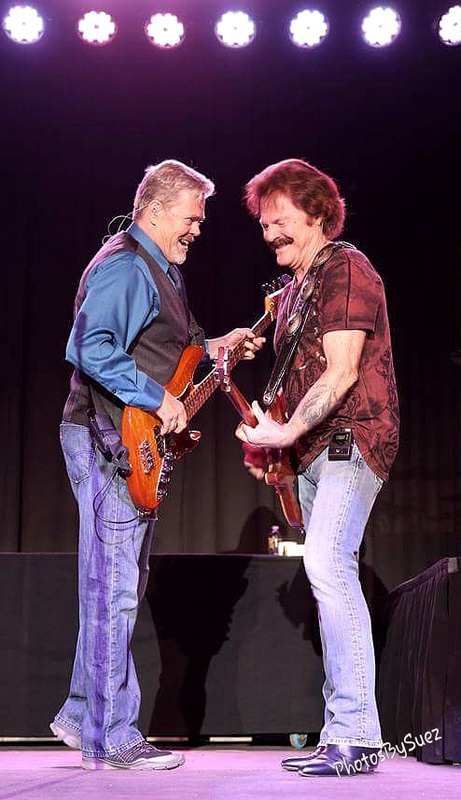 Although the "Doobies" have had numerous personnel changes over the past 40 years, the longtime '70s nucleus of Patrick Simmons, Tom Johnston and John McFee remain innately intact. Their stage presence was energetic, complementary and positive. The set for this particular sold-out show included many top-10 hits as well as some re-discovered, previously hidden jewels. One such gem was, "South City Midnight Lady", featuring the golden phonetics of Simmons, tastefully enhanced by the beautifully melodic pedal steel talents of McFee. For many, this lone 5 minute ditty was well worth the cost of admission. A pleasant surprise to some was, "Takin' It To The Streets", an ambitious refrain known for the distinctive cantata of former Doobie, Michael McDonald. 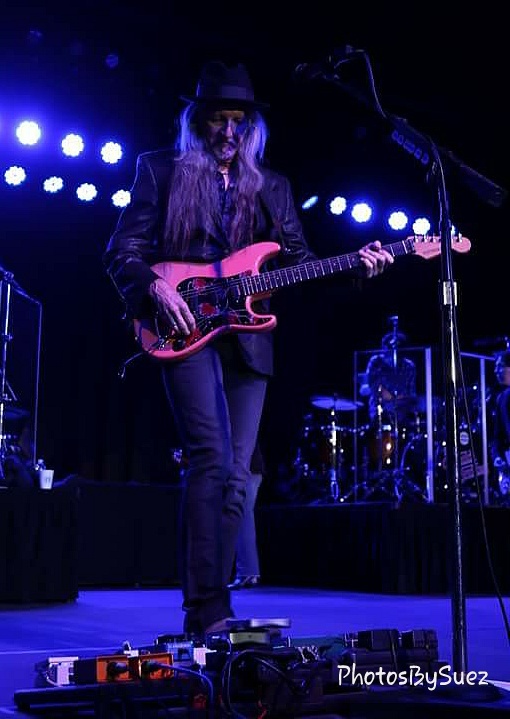 This vocal treasure was covered incredibly by Simmons and bass player, John Cowan. Yes, the same John Cowan of New Grass Revival fame. However, “JC is not your typical bluegrasser turned rocker." Cowan has been displaying amazing bottom end chops for decades, while his pleasantly piercing tenor is second to no other in Rock & Roll today. What’s more, John Cowan is a perfect fit for maintaining the eclectic low end of this fabulous band. The acoustic selection for the evening was of course, "Black Water", with a clever West Virginia moon reference tossed in by Simmons. The interpretation of this all-time classic was stellar, while easily eliciting an abundance of crowd participation. After completing an impeccable 15-song set with, "Long Train Running", this incredible unit closed with, "China Grove", "Road Angel" and "Listen To The Music". A fabulous encore to an excellent show indeed.